There are plenty of reasons why you might have put off selling your home - the weather, maybe the weather (perhaps the weather? ), too busy, too much of hassle, unsure of where to move next... you name it. But we're here to tell you that it's time - time to get in the market. For every reason you might hesitate, we have five for why now is an amazing time to sell your home. Interest rates are low, there are many eager buyers, there is less competition from other sellers, home values remain strong... we could go on and on. Not to mention we have a professional, experienced team who will work around the clock for you. We handle the entire home selling process - soup to nuts. Selling your home efficiently, quickly, with terms that meet your needs, and with as little stress as possible is what we do best. Our team is your advantage. 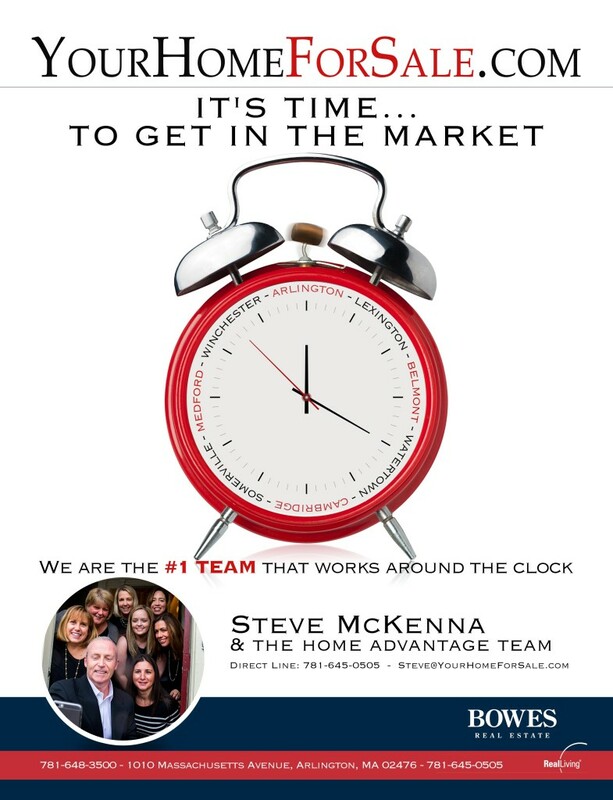 Call Steve McKenna and the Home Advantage Team today for a free and confidential custom market analysis of your home. Have you picked up your copy of Boston Magazine yet? Check out our ad in the latest issue!